This could be the next iPhone expected to be released this September 2016 by Apple. iPhone 7 leaked picture shows the clear view of its rear panel with Big camera lens, shiny apple logo and the redesigned Antenna lines. Following picture of iPhone 7 is leaked by one of the trusted and popular source nowhereelse.fr known for its previous iPhone leaks and rumors. It is just the rear panel which shows the upcoming iPhone 7 with bigger camera lens, led flash, shiny apple logo and the completely redesigned antenna lines that is now pushed to iPhone’s border making it look clean and minimal at the back. Do checkout the 3D renderings of iPhone 7 design based on leaked panels, by Martin Hajek. There are rumors claiming that the iPhone 7 plus will have a dual camera lens, but there are no iPhone 7 Plus leaks yet. The above picture looks like iPhone 7 which is the 4.7 inch model with more like its predecessor design, which is iPhone 6S. 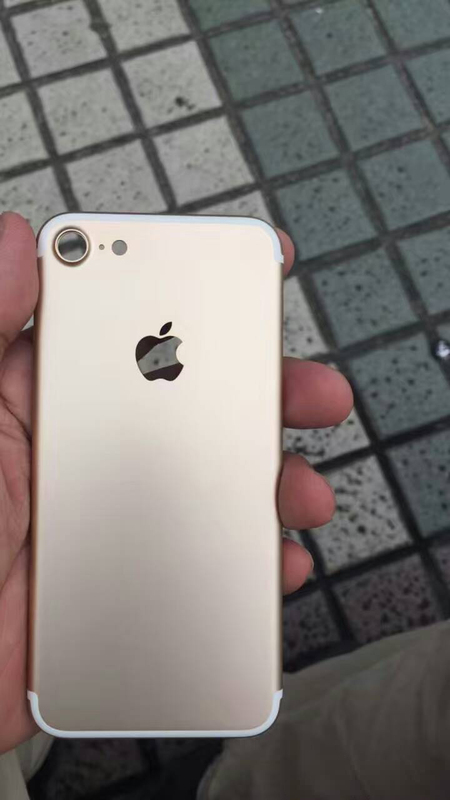 What do you think about the all new iPhone 7 leaked photo and its 3D Rendering images? Feel free to comment below and have a great day.